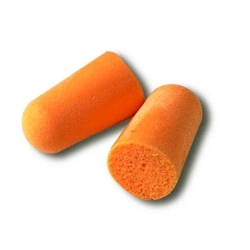 Soft, comfortable ear plugs conform to unique shape of each ear for better hearing protection. Foam is tapered to fit most ear canals. Bright orange color aids in compliance checks. Can be combined with earmuffs for additional protection. CSA Class AL.